Forbes Magazine reports that in 2016, the National Association of REALTORS® (NAR) found that for sale by owner (FSBO) sales were at 8 percent—an all-time low versus the 21 percent all-time high set back in 1981. A Redfin survey the same year found that 25 percent of people who sold a home in 2015 sold it without the help of a full-service agent; however, 15 percent of sellers used a limited service agent, and about 10 percent listed their homes on an MLS without an agent’s help, which suggests FSBO is a hotter market than NAR’s survey indicated. Who’s right? They both are. Thanks to anti-trust laws regarding the MLS and the NAR, FSBO numbers have changed a lot. Something as simple as using a REALTOR® service to upload their listing to the MLS means NAR includes them in a comprehensive pool of sellers (89 percent) engaged in “agent-assisted” sales, although the sellers weren’t actually using a REALTOR®. That means FSBO listing numbers are actually growing, presenting a bigger market than anyone, Jim Remley realized. Remley, principal broker and sales manager at John L. Scott Real Estate Medford and Ashland, is a FSBO expert. At age 19, he listed over 150 properties in a 12-month time frame, and was listed in the top 1 percent of REALTORS® nationwide. He has an Accredited Luxury Homes Specialist designation, and is still actively selling real estate and working with 106 agents. And, he’s a wealth of information about how to make a great living from only FSBO and FSBO legacy sales. Remley got his start with FSBOs after seeing another young agent receive an award for the number of homes sold at a conference he was at. After the conference, Remley asked the agent what his secret to selling was. NAR studies over the past 15 years show that 92 percent of all FSBO homeowners will eventually choose to work or cooperate with a broker. Of the 8 percent that successfully sell without an agent, half sell to a family member, friend or someone they know. Check the ads in your local newspaper. Check Craigslist, Facebook and other social media sites for FSBO sales. Ask for referrals from friends and other clients. Turn your sphere of influence—the 200 or 300 people you already know or follow, or who follow you, into your own sales force, asking them to help you. “Just say, ‘Hey there, I’m looking for new inventory. If you see a For Sale By Owner sign, would you snap a photo and text it to me? '” Remley says. Don’t forget the legacy FSBO, either. Legacy FSBOs happen when homeowners decide to list their property, then lose interest in selling. What they forget to do is take their listing off of the handful of sites where they’re posted their property. The key words are “right price.” Everyone is interested in selling for the right price, so when you get an affirmative answer, you respond with, “I have some buyers who are looking. Why don’t I come by and see what you have and let’s talk about price?” If they were interested in selling not that long ago, they’re properly still interested in selling. Contact them in person. Make a phone call and have direct interaction with them. If you just can’t get to the phone, then email or text them. Contacting them through email or text is better than not contacting them at all. Tell them who you are and who you work for, and tell them you’re keeping track of inventory in your market, including listed and non-listed properties. Ask them if you can bring a qualified buyer of yours to tour their home. If they agree, then ask them if you can come by in the next day or two to review the property before you bring a buyer through. Use Remley’s “stop, drop and knock” method. 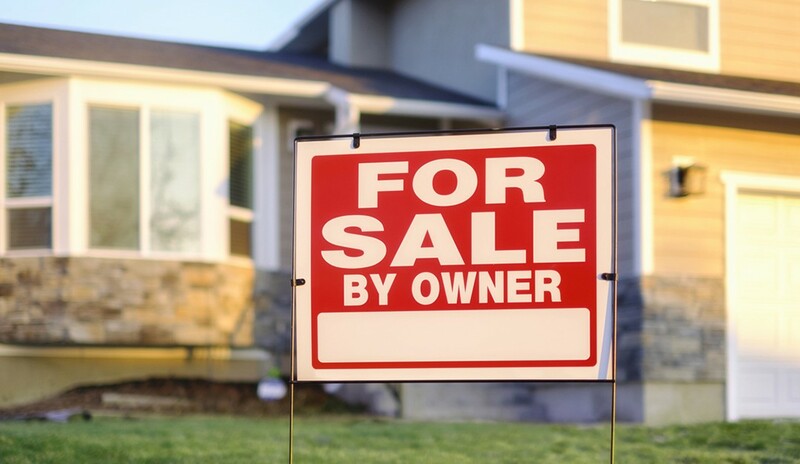 If you’re driving by a FSBO sign, stop the car. Drop what you’re doing and knock on the door. Simplicity works. On any site you find a FSBO and do contact the owner, let them know right away you respect their decision to sell their home, that you’re not there to convince them to list, and that you simply want to know if you can bring a qualified buyer by their home to see it. Look for hidden FSBOs in your own MLS. Many MLSs will allow FSBOs by allowing limited or no representation (the broker lists the property for a fee, but doesn’t represent the homeowner), or there’s a phrase such as, “Present all offers to the seller” to indicate the sellers just paid a fee to be listed on the MLS, but they’re not represented. Remley’s best tips aren’t just about what to do, but about what to say and how to initiate conversations with owners without having them get defensive about their decision to sell. With Remley’s advice and experience, it’s easy to see why he’s able to get so many FSBOs to convert. To hear all of his tips and advice, listen to the entire webinar here.